Creating a podcast is an excellent way to build a loyal audience and to promote your brand. If you have always wanted to start a podcast, you have come to the right place. In today’s post, I will show you how to start a podcast from scratch and publish it on your WordPress site. First of all, let’s find out which things you will need to get started. There are some basic things you need to start a podcast. The first thing is the website, which I am sure you already have. Next, you will need some equipment like the microphone and some accessories to record and edit the podcast. I will introduce you to these tools shortly. Once you have some episodes ready, you need to publish these on your site. You will need a podcast player to display the podcasts on your site. I will discuss the best ways to do this as well. Finally, I will show you how to submit your podcast to iTunes to let people know about your podcast. Now that we are on the same page, let’s get going by choosing the necessary equipment for your podcast. The most basic equipment to get started with your podcast is a good quality microphone. Using the built-in mic on your laptop will not be a wise decision. The terrible sound quality and the unwanted noises will annoy the listeners. 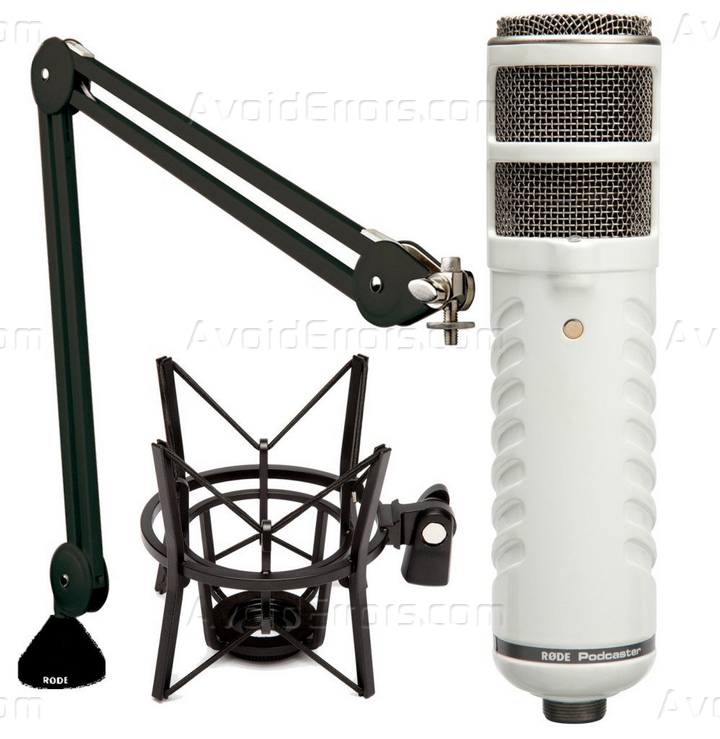 There are three types of microphones available for you – entry, medium, and pro microphones. While it is always better if you can go for the pro microphone, their high price might be an issue for some people. After all, you will also need some additional accessories along with your microphone. For all these reasons, we recommend this Rode Podcaster Kit that includes the Rode Podcaster USB Dynamic Microphone, a shock mount, and an arm to keep the microphone steady while recording your podcasts. You will also need a reliable headphone. But if you already have a decent one, you can get started with it and upgrade later, if necessary. Now that you have the necessary equipment, you can start recording the podcast. Luckily, the necessary software to record and edit your podcast is available for free. I am talking about Audacity. This open-source software comes with all the features you need to publish professional quality podcasts. Once you install Audacity, you have to create a new project for your podcast. Create the project and start recording by using the Podcaster Kit you got. When recording the podcast, don’t worry about the pauses, repetitions, coughing, or any other incidents. You can edit, delete, or modify any of these later. It is also possible to add background music to your podcast. Check out the Audacity Wiki to find out detailed tutorials about using the various software features. Once you have finished editing the podcast episode, you need to save it on your computer. Most people prefer to use the MP3 format because of its small file size with good quality. It is necessary to follow a strict naming convention for your podcasts, which means all of your podcasts will follow the same naming convention. Since you will publish podcasts on a regular basis, it also makes sense to add a number to the title to indicate the episode number. At this point, you have recorded and edited your podcast, which means you are ready to publish the brand-new podcast on your site. Since your podcasts are large audio files, serving these from your regular web host will take a lot of resources. While it might work for the beginners, you should have a plan to use a podcast-specific hosting platform like Blubrry in the future. There are several WordPress plugins to help you publish and display the podcast on your site. Among these, Smart Podcast Player is the best one in terms of feature and ease of use. As this is a premium plugin, you need to purchase a subscription before you can use it. Once you install and activate the plugin on your site, you need to verify your subscription by entering your license key. 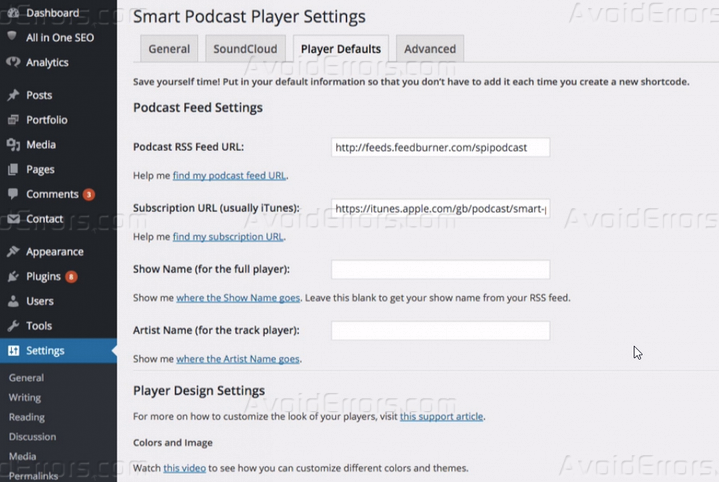 Then, go to Settings > Smart Podcast Player to configure the plugin settings. Click on the “Player Defaults” tab to set up the podcast feed, player design, buttons, and so on. Click the “Save Changes” button to apply all the changes you have made. Among these, the full player will display a full-screen player including a scrollable list of your podcast episodes, a description of the latest episode, social media sharing links, etc. Click the green icon in the editor toolbar to add this player. On the other hand, the single player enables you to display the latest episode or a specific episode of your podcast. You need to click the black icon on the editor toolbar to add the individual track player. For both players, you will find design options for the player and the buttons. Once you have made the changes, click the “Build Shortcode” button to add the shortcode to your post or page. And that’s how you publish a podcast on your WordPress site. iTunes is undoubtedly the most popular platform to get new listeners for your new podcast. Before you submit your podcast to iTunes, you need to test and make sure that everything is set up correctly. To do that, download and install the latest version of iTunes on your computer. Open the software, go to File > Subscribe to Podcast, and provide your feed URL. It will automatically fetch a preview of your podcast. You need to make sure that it is correctly displaying the podcast name, artwork, description, subtitle, length, and so on. If everything is OK, you are ready to submit your podcast to iTunes. To do that, open iTunes Store from the iTunes software, and go to Podcasts > Submit a Podcast. 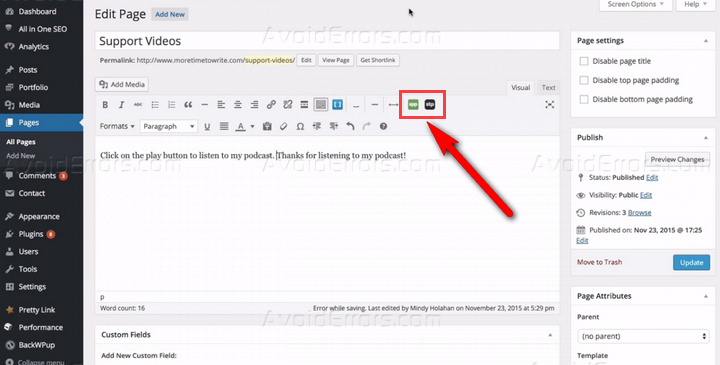 You will need to provide the feed URL, tags, and the name of your podcast. Your podcast will be added to the library once the iTunes staff approves your submission. Podcasting may look a bit complicated to the beginners, but it can be very effective when used properly. This in-depth tutorial introduced you to the basic steps of getting started with your own podcast. So, what are you waiting for? Pick up the necessary equipment and get going!